Customer to provide suitable classroom facilites. This is a bespoke course is aimed at companies who require individuals to supervise safe systems of work using lifting equipment. It is recommended that prior to attending this course individuals should have some experience of working with lifting equipment, especially mobile cranes. The aim of this course is to provide candidates with underpinning knowledge in order for them to understand the role and responsibility of the Crane Supervisor. Following successful completion of the course candidates will be able to understand and follow safe systems of work for lifting operations including risk assessments and method statements. 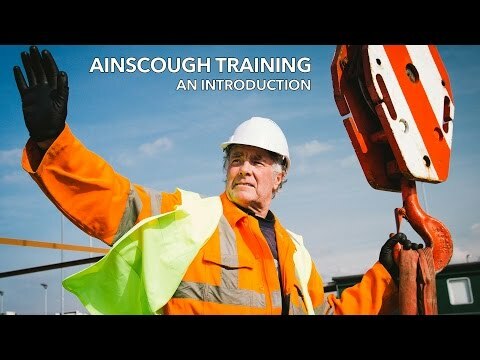 Successful candidates will be awarded an Ainscough certificate of training along with a photo ID card endorsed Crane Supervisor and will be valid for 5 years. Please note that on major construction sites this may not satisfy the training requirements where a CPCS card is required. If you are unsure please call the number shown below for further advice.